I have updated Notesbrowser, but can not find my database. Where is it? 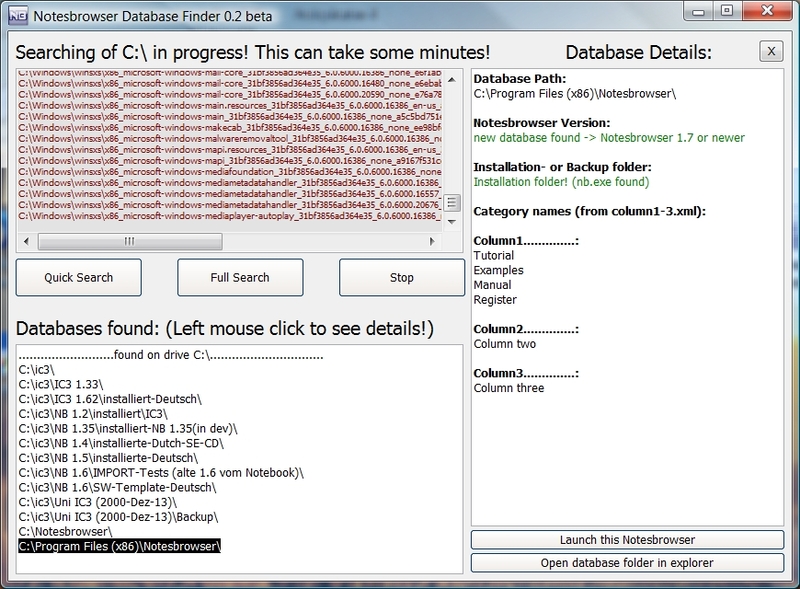 We have created a small tool to locate all Notesbrowser databases on your hard disk drives. - click on "Full search"